Since 1993, there have been a number of legal reforms aimed at creating a framework able to accommodate the country's commercial aspirations. Most notable is the commercial code which came into effect at the end of 1993 and covers a wide range of banking and commercial activities. Also significant are new laws on copyright, patents and trademarks which came into force in 1993. Companies formed prior to 1989 did have the benefit of a number of grace periods to give them time to comply with the provisions of the law. The last grace period expired at the beginning of 1994 and has not been renewed. The companies law is now unequivocally applied to all local companies irrespective of when they were formed. A number of substantial amendments to the companies law were under consideration as the practical guide was being published, although it is not clear when they will be introduced, if at all. Foreign investors who are unsure of how the companies law now affects their interests should seek advice from their local legal advisers. A list of 70 foodstuffs are exempt from tariffs, as are medicines, agricultural machinery, pesticides, fertilizers, periodicals, wood, unstrung pearls, unworked silver and gold, iron and steel for use in construction, and raw or partially worked materials for use by local manufacturers. Goods produced within the GCC are also exempt. There is no duty payable on goods destined for Jebel Ali Free Zone. 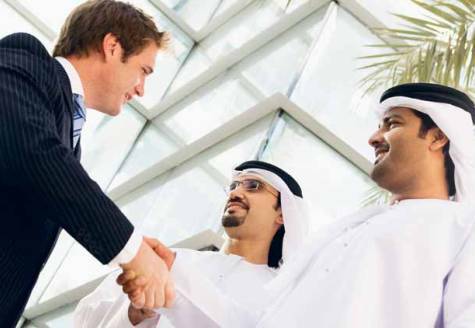 There are various procedures for setting up corporate entities: Limited liability companies (Dubai). Get the latest resources right in your email! Subscribe to the RSS feed now. Thanks for visiting!